LOADS OF ABILITY, SCOPE AND STAMINA ALL WRAPPED UP IN A SMALL PACKAGE. 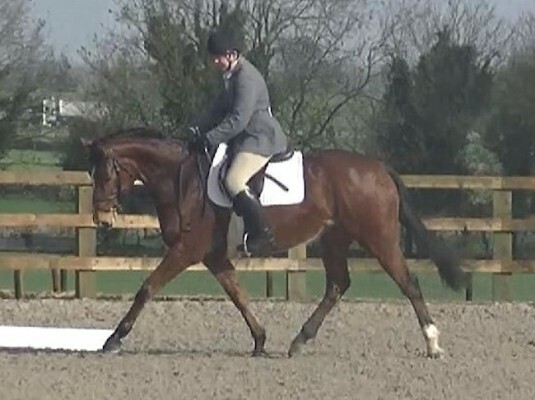 15.3 6Yr Old QUALITY Mare by Primitive Faerie Tale out of a Maximillian Saluut Mare. We have produced Ella carefully over the last 14 months with her future in mind. In that time she has excited us with her ability and potential to be an ON U18 / FEI 2* in the correct hands. She has super, straight, elastic, free movement, a careful, scopey jump, loads of stamina and is very brave and straight forward on the XC. She made her BE debut at the end of 2018. In her two starts she finished 2nd and 5th, jumping double clears both times. She will be fit and ready for BE90 at the start of the season and will move up to BE100 and beyond, very quickly. Ella is a super athletic little mare who's quick and light on her feet, loves to work, enjoys new challenges and is looking for an equally competitive rider. Being good to do in all ways, she adds super conformation and temperament to her talent. Truly a rare find. Obviously still a young horse in the making so please no novices.